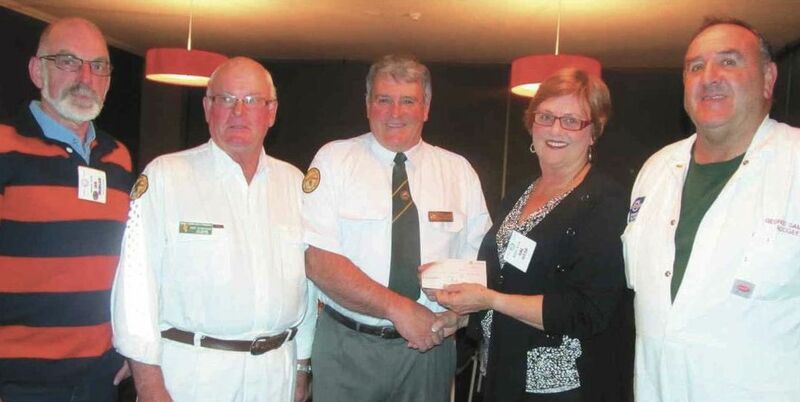 TRUCK CHEQUE: The Rotary Club of Mudgee supported the Mudgee Rescue Squad’s campaign to purchase a new truck with a donation on Tuesday night. (From left) Ian Morgan, Keith Underwood, Wayne Joseph, Val Webb, and George Samanc. The donation brings the Squad’s total a bit closer to the required amount of $105,000 to replace ‘Rescue 1 vehicle’. Squad campaign closer to target. 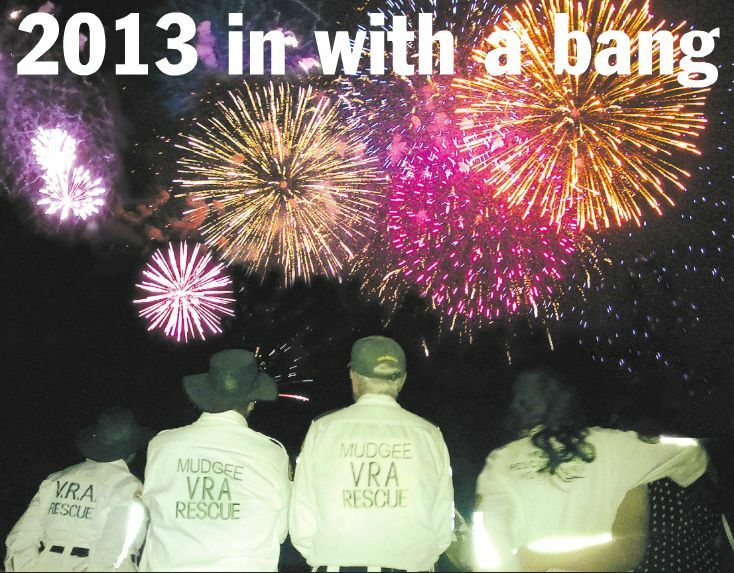 TRUCKING ALONG: The Mudgee Volunteer Rescue Squad’s campaign to replace their aging truck is on schedule. (From left) Colin Ratcliff, Garry Dollisson, Geoff Hawes, Brian Wells, Anthony Stewart, Errol Grieve, Keith Underwood, and Phillip Blackman. Rescue Squad talks about safe driving. driving presentation to Double R staff. 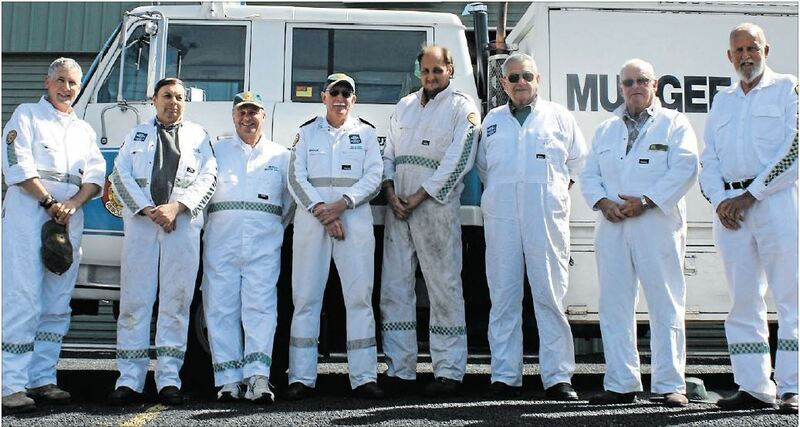 The Mudgee Rescue Squad recently attended a training day held by Double R Heavy Equipment Repairs. 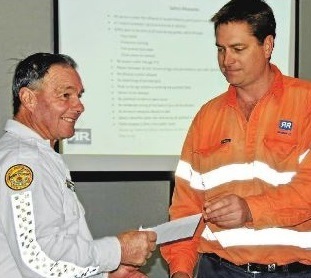 President Geoff Hawes presented with a focus on safe driving and awareness. 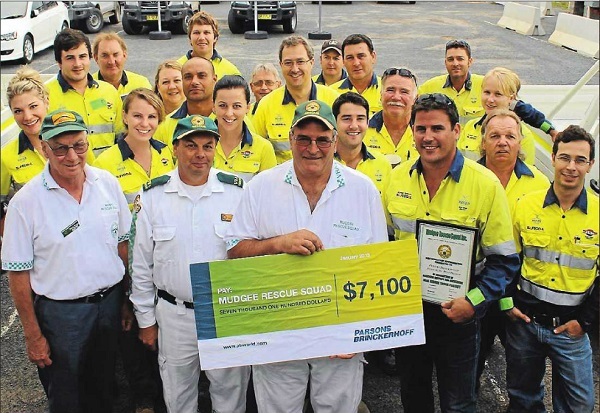 The Mudgee Rescue Squad, who specialise in the extraction of people trapped in vehicular accidents, talked specifically about excess speeding, tail gating, wildlife and driver fatigue. Al] of which are contributing factors to motor vehicle accidents in the local region. 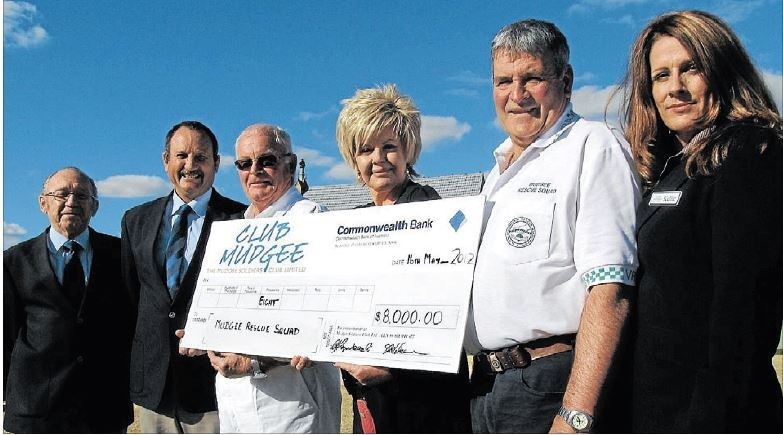 Pictured (from left to right) are Club Mudgee director Brian Algie and president David Nelson, VRA life member Keith Underwood, Club Mudgee CEO Maureen Heywood, VRA vice president Wayne Joseph and Club Mudgee marketing manager Kellie Gant. 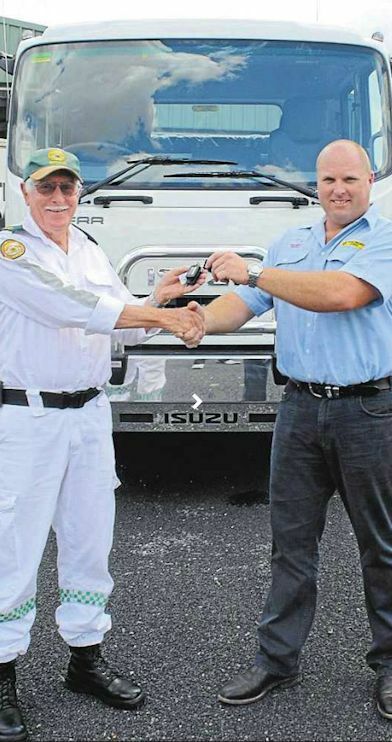 Old Truck: Mudgee Rescue Squad members pictured with the 27 year old truck they are raising money to replace (From left) original member Keith Underwood, captain Brian Wells, vice president/vice captain Wayne Joseph, assistant admin Errol Grieve, and secretary/deputy captain Garry Dollisson. 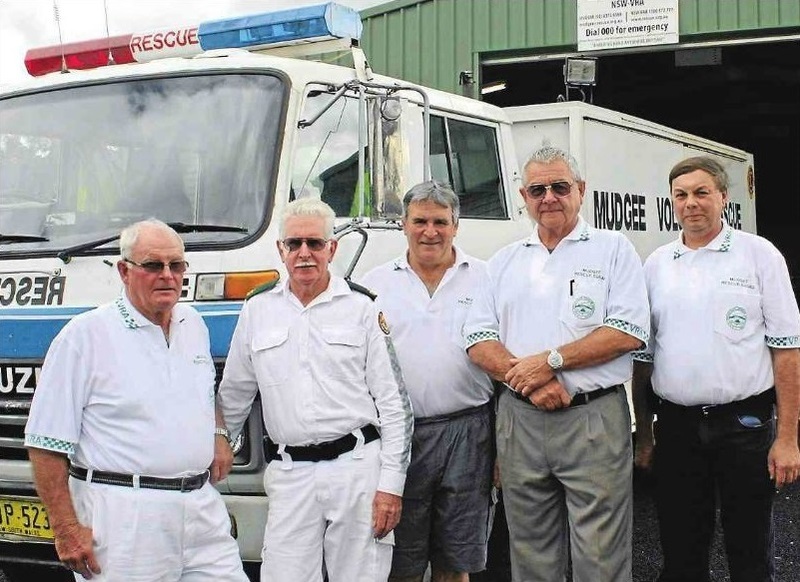 The Mudgee Rescue Squad’s campaign to replace its aging truck is gaining momentum with around $18,000 raised so far. last Wednesday the Squad was one of the recipients of Family First Credit Union’s Community Support Program donations, receiving $1,000.